The first word that comes to mind to describe this novel is “fun.” I enjoyed it immensely. I don’t usually read ghost stories, so I was surprised how much I liked this one. The premise in intriguing: it combines the modern story of a retired woman, grieving the lost of her mother, with a century-old murder story. The two stories intersect because Cora, the modern protagonist, encounters strange happenings wrought by a vengeful ghost. The book is structured like a sandwich, a beginning modern section, a central historical section, and an ending modern section. Cora makes a discovery near the end of the first section that leads naturally into the historical part of the story. One of the things I liked best about the novel was Cora herself. I immediately warmed to her. I thought her relationships were believable. Her marriage to Cisco and her friendship with Frannie felt real and lived-in. The writing also has an easy flow to it. 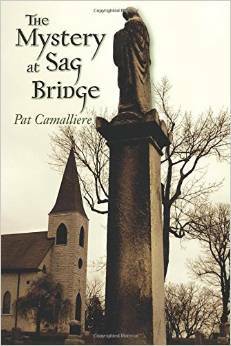 I wouldn’t hesitate to recommend this story to anyone who likes mysteries, paranormal stories, or historical fiction.